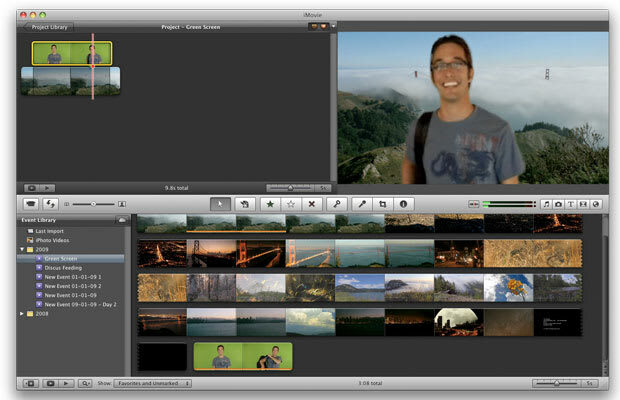 Previous versions of iMovie allowed you to use a green-screen effect—recording video in front of a green background and superimposing it into another video—but that lead to a few problems. Mainly, green objects being cut out of a video. In iMovie ’11, you can now also use a blue-screen effect. Here’s how it works. Open your video project and in the Event Browser select the clips you recorded in front of the blue-screen. Drag the clips over a clip or images(s) in your video project and release it once you see the “+” symbol. Choose “Blue Screen” from the context menu that will appear. You will then be able to adjust the position of the blue-screen clip over the video you’re super-imposing it over.